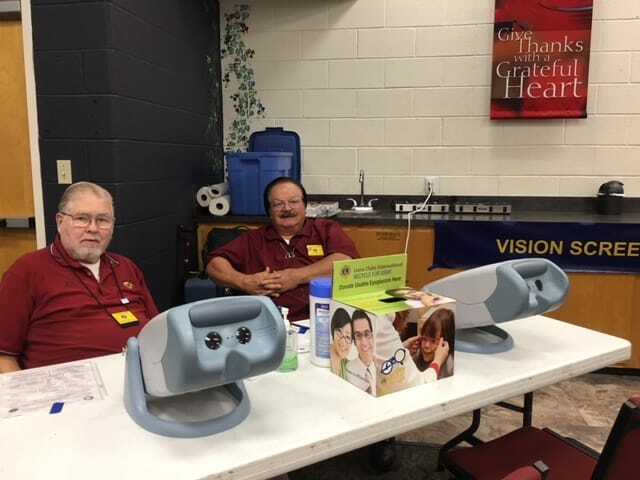 Lexington Park Lions Jess Davis, Sal Raspa, and Hollywood Lion Robert Mattingly provided vision screening for folks attending the Community Assistance Day program sponsored by the Homeless Prevention Board, Friday, November 3. This event, held annually each Fall, provides a one-stop- shop of resources for those less fortunate in our communities. More than half of the visitors screened were referred for follow-up exams and provided information on how Lions can help with making certain that happens.